October 30, 2015 was a busy day for Yukirin. It started “bright” and early at around 3am when she had to get up and head to NTV studios to prepare for a live performance of Halloween Night on their morning show ZIP! Following the performance, there was a short break before she went for the NTV Halloween concert rehearsal. Following that rehearsal, it was preparation for Music Station performance. After music station, she went to perform at Samantha Thavasa Halloween party. The ZIP! performance was part of the promotion for AKB48 & HKT48 Halloween Concert at Budokan on October 31st. The girls were up really early. At night, it was the Music Station Halloween special. 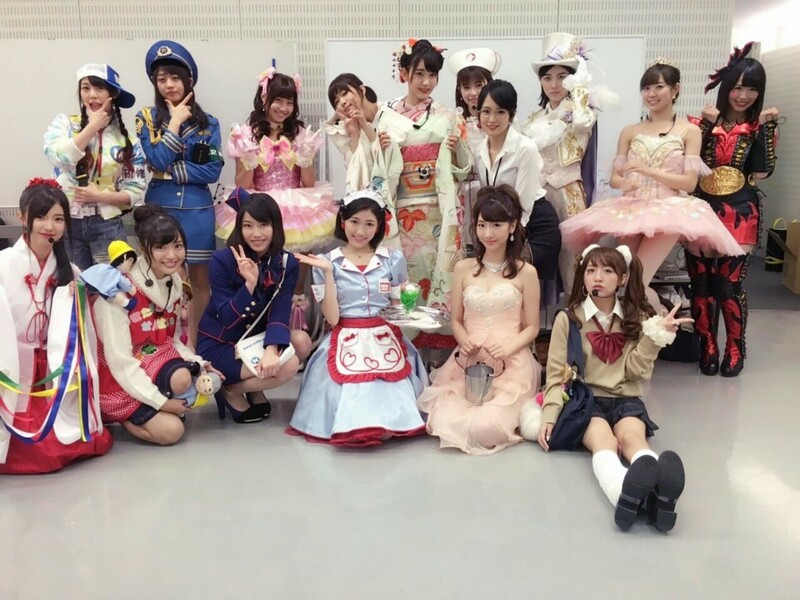 AKB48 appeared in various costumes. It was revealed that all the costumes were decided by Aki-P for each member and the theme was various jobs. During the talk prior to the performance, Sasshi also mentioned that the first costume picked by Aki-P was for Yukirin which was a hostess. I think as Yukirin fans, we can all thank AkiP for his decision (LOL). Yukirin looked amazing in her outfit. During the performance, she pulled out a heart-shaped business card from her chest. Yukirin later revealed what the card said on Twitter. The business card said she works at Club Ameonna which means Club Rain girl. The telephone number was her birthdate and her email was yukirin@rainy.com. Yukirin along with Sasshi, Mayu, Yui, Jurina and Miruki attended the Samantha Thavasa Halloween Party in their Music Station costumes. The party was attended by 500 people. They of course performed Halloween Night with everyone. Awesome party indeed! Thanks for the round up!! !